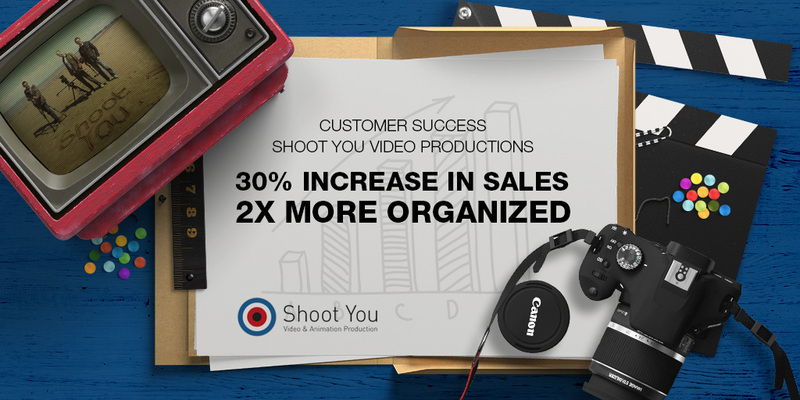 Shoot You Video Productions wanted to implement a more robust sales framework to ensure frequent follow ups were actioned for new business and for re-target existing customers. “The initial thoughts of implementing a sales CRM were quite daunting” says Founder / Sales and Marketing Director, Quint Boa. They were afraid of the crossover period and of clients falling through the cracks – never to be heard of again. To their surprise, the opposite was true. Quint decided to give OnePageCRM a try after it came highly recommended by a colleague. They were delighted with the results. Shoot You Video Productions has been creating and producing broadcast quality video and animation for almost two decades – helping clients communicate their message, market their products and engage their customers. They partner with major brands to produce and supply engaging digital content and work alongside clients both nationally and internationally. Some of their clients include: J.P. Morgan, Aggreko, Cisco and Hewlett Packard to name a few. The award winning company produces videos for all formats and platforms – social media, mobile, websites. They have a reputation for consistently delivering a superb service level which keeps them on the top of their game. The video production space had quickly become a crowded one and Quint didn’t want to get involved in the “race to the bottom”. He wanted to make sure that they maintained their competitive edge with the service they provided to their customers. Prior to using OnePageCRM, Quint was operating off an Excel sheet and a contacts database which he used essentially as a “holding ground”. “It was very easy for things to get by me. I needed to become more organized and follow up, especially with repeat customers. From start to finish, stuff was just disappearing and jobs were not being closed off”. Quint also mentioned when using Excel, he often found himself picking and choosing which contacts to follow up on and they weren’t necessarily the correct ones. He knew he was missing out on possible opportunities. 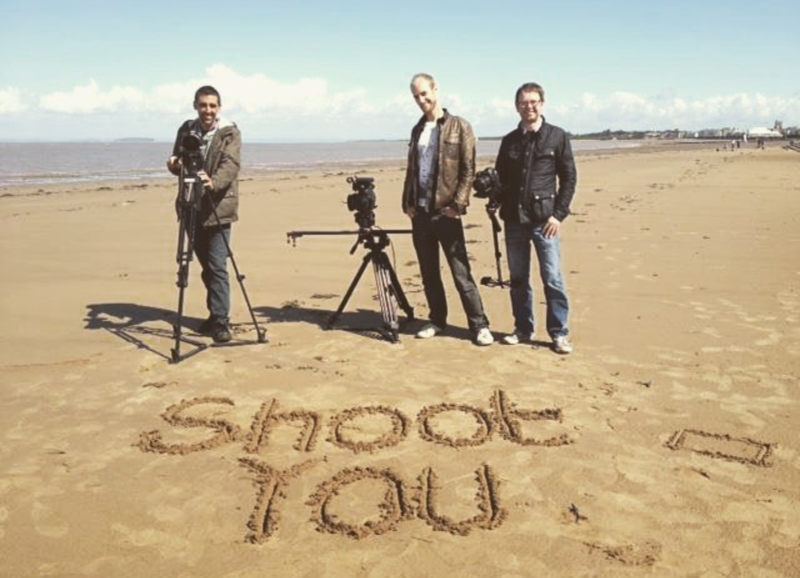 It took approximately two days for Shoot You Video Productions to get up and running with OnePageCRM. They started by doing an initial import of their data and then continued to build on it gradually as new leads started to come in. This process helped the team do a full evaluation of their client database and figure out who their existing clients were and who needed follow up’s. They were able to build a robust database very quickly. Over the course of a few weeks, Quint started to see customer patterns more clearly and he commented; “Market segmentation became much clearer to us – who are customers were”. He realized that they were much more heavily involved in Finance than they were in Construction for example. Using the deals and pipeline functionality, Quint was able to forecast projected revenue for the months ahead. Once he sends a quote to a client, he creates a deal in OnePageCRM and then the Next Actions start to unfold. “The sales cycle can often take several months so it is critical to touch base with the potential client along the way”, Quint Boa, Shoot You Video Productions. He can easily see the margins on each deal when they’re created, which is music to their Finance managers ears. Even more to Shoot You Productions delight is that OnePageCRM is mobile, meaning Quint and his team can easily see pending deals and follow up’s right from the palm of their hands. Quint jokingly commented that “the OnePageCRM mobile app was a killer for his sleep” as often would find himself using it at 2AM in the morning if he couldn’t sleep. The notes functionality is also crucial for the team as it allows them to log daily interactions with their clients; whether it’s a meeting or a phone call – it’s all updated in the Activity timeline of the contact where it is easily retrievable. In Quint’s experience, OnePageCRM has helped him stay in front of potential clients more readily. If he quotes for a potential client, he sets up his Next Action and series of actions to check in. It was as a result of these regular check in’s that they recently landed a large client. In enterprise organizations, the decision process can be extended over a number of months….but it was when he received a reply starting with….“Thanks for keeping in touch, we’re thinking of going ahead now”, that’s when he realized the real power of OnePageCRM. “If not prompted by OnePageCRM, we wouldn’t have kept in touch and run the risk of them going elsewhere. OnePageCRM organizes me across the sales funnel and it reminds me to keep in touch with contacts who otherwise might slip by me” – says Quint. With regards mass email marketing, it’s not a regular occurrence on Shoot You Video Productions agenda. However a short time ago, they decided to send out an email campaign using MailChimp (as it’s connected with OnePageCRM). The primary content in the email was based around video animation as they were conscious their audience didn’t know about this service they offered. It gathered huge momentum and as a result they gained some extra customers. Win-win for all involved. “And the fact that MailChimp connects easily to OnePageCRM is an added bonus” – Quint Boa. Shoot You Video Productions have become more organized since using OnePageCRM. The number of follow up’s and check in’s have doubled over the last two years. As a direct result, they have seen a 30% increase in sales – a mix of repeat customers and closing new deals. The target’s widget keep the team motivated to make that one extra call to close that sale. “We love that OnePageCRM is always innovating. For example, the new motivational targets widget, and this helps us stay on top of our game” says Quint. The company believe that having a strong sales framework in place gives them the reassurance and confidence boost they need to ensure they continue to provide the best possible service to their clients. What’s more, OnePageCRM helps Quint and his team keep an accurate record of what’s going on so they can deliver a better product. 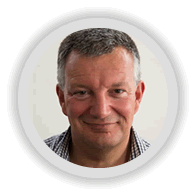 “I would recommend OnePageCRM to anyone who has a small to medium sized enterprise as the ideal sales tool to grow their business”. 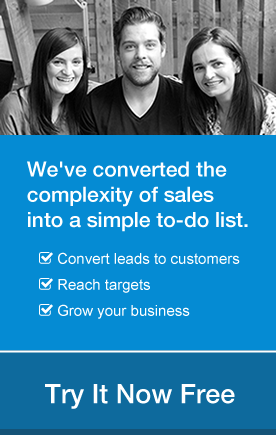 30% Increase in sales? That’s insane!! Thank you Carmel for sharing.